We are wedding planners and event designers who enjoy sharing stories about events, weddings and parties. FLOWERS: Do You Know the Language of Flowers? With only one more week before New York kicks off the global calendar of Fashion Weeks, rumors fly about the strong influence of Victorian fashion in haute couture and ready-to-wear lines. We’ve already seen the layered lace, gathered flounces and bell-shaped silhouettes succeed in recent wedding gown designs. Dare we hope that same inspiration will spread into the world of parties and event design as it once did? Although flowers and herbs have been labeled with significant meanings since Biblical times, it was the Victorians in the 1800s who truly embraced the “language of flowers” in their everyday lives. In fact, the language was a true manner of communication called “floriography” that was used to convey feelings and sentiments at a time when sexuality and romance were strictly “laced up” and hidden from public display. The type of flower, plant or herb sent to another was thoughtfully considered as each flower sent a message to the recipient in secret code. As a result, flowers adorned almost everything in Victorian society from home decor to hair styles, men’s lapels, ladies’ gowns, bonnets, jewelry designs, china patterns and even horse carriages. Remember those endearing scenes with Rupert Everett in Oscar Wilde’s An Ideal Husband in which he agonizes over which flower to wear on his tuxedo lapel? Pamphlets, dictionaries and letters were exchanged amongst friends and lovers to explain their own elaborate floral code in painstaking detail. But it wasn’t only the type of flowers that conveyed hidden messages but how they were presented, such as: the quantity of blooms, the selection of flowers, whether they were large or small, whether they were grouped together or wrapped in paper, when they were delivered during the day and how often during the week. For example, a “tussie mussie” of yellow roses offered in the morning would be a sweet tribute to friendship, happiness and joy. But a bouquet of yellow carnations delivered in the afternoon would indicate disappointment in a friend’s behavior or rejection of a friend’s gift. Sadly, over the years most of the world has forgotten the meanings and symbolism of all but a few favorite blossoms. Although there are hundreds if not thousands of gorgeous flowers to choose from every Valentine’s Day, we all continue to believe red roses are the only flower that implies passion and deep romantic love. 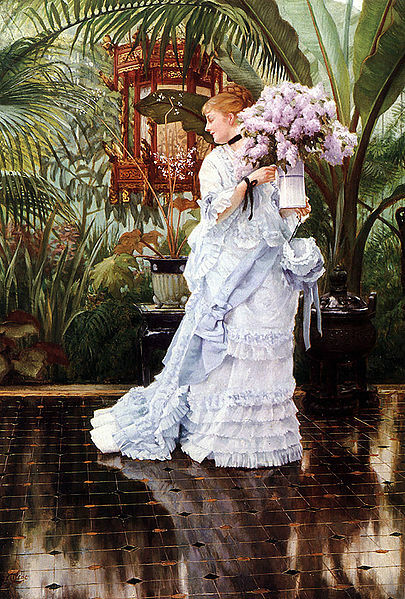 Perhaps this year we should follow in fashion’s footsteps and let the charming Victorian language of flowers guide us to other sentimental blooms to share our feelings. Some of the meanings noted below remain consistent with today’s perception but many are truly surprising when you know, as we do, which blooms are favorites amongst brides in today’s weddings. Cactus: My heart burns with love for you! Since we no longer exchange personal dictionaries that detail the hidden meanings, why not send a bouquet of flowers with a handwritten note that shares the sentiment? ABOUT US: Our Retail Boutique Has Moved!